This majestic breed has protected livestock for thousands of years. The Maremma Sheepdog originated in Italy. For thousands of years, Italian shepherds have relied on these dogs to protect their stock. Today, the Maremma (Cane da Pastore Maremmano-Abruzzese in Italy) is also widely used to guard stock in Australia, the United States, and Canada. The Maremma Sheepdog Club of America currently does not recommend Maremmas as pets. Our dogs were born in the field to working parents and are excellent livestock guardian dogs (LGDs). In comparison to some other LGD breeds, Maremmas are known as close guardians. Rather than patrolling a perimeter, Maremmas generally prefer to remain near the livestock they are guarding. For our small farm, this made Maremmas a good choice. Why multiple dogs? (1) More effective predator protection; (2) Experienced dogs shape pups’ behavior; (3) Dogs play with each other rather than with stock; and (4) Dogs of different ages insure ongoing protection for stock. 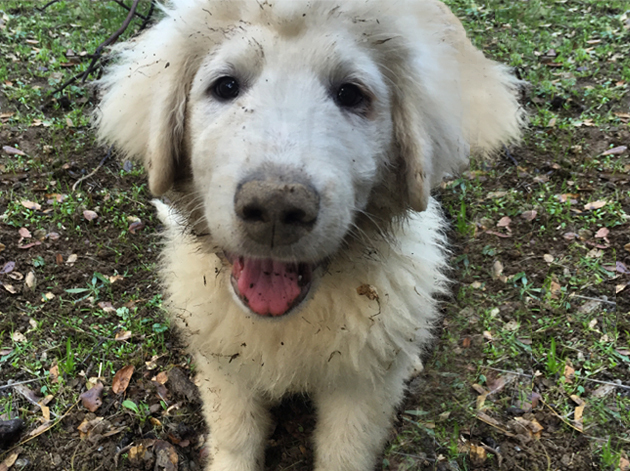 Our Maremmas love to dig, but their fur quickly sheds the mud. Our Maremmas sleep next to our stock at night, protecting them from predators when they are most vulnerable. They sleep lightly and spring into action at the first sign of a threat. 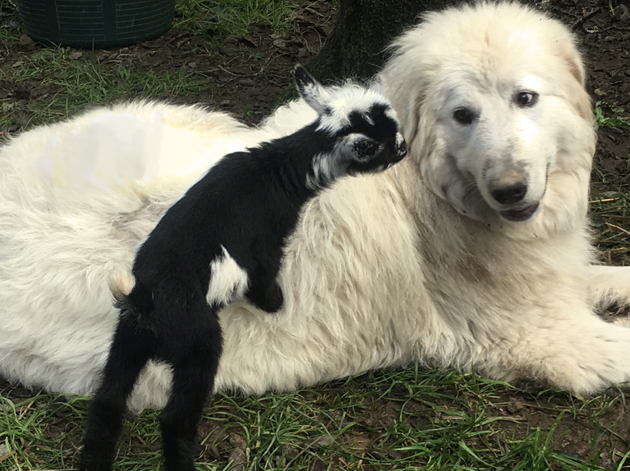 Considering a Maremma or another LGD breed? We could not operate our small farm without our Maremmas, but this breed is not for everyone. They bark (first defense against predators). They are independent thinkers (as they must be to guard stock when you are absent). They are extremely protective of the stock and people to whom they are bonded. The Maremma Sheepdog Club of America is an excellent resource for more information about this extraordinary breed.